This Q&A appeared in the January 2018 edition of Horseplayer Monthly. To read the rest of the issue FOR FREE, please click here. 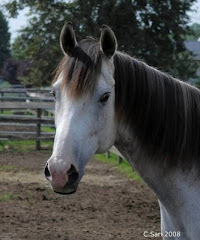 HANA board member Mike Maloney has a book available for purchase on the DRF store. 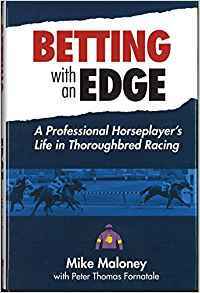 Titled as Betting with an Edge: A Professional Horseplayer’s Life in Thoroughbred Racing, it details Mike’s life as a professional horseplayer. Q: What was the impetus for you to write a book about your life in racing and betting philosophies? 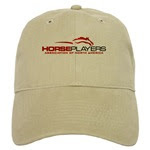 A: I believed I had some ideas that would be helpful to other horseplayers out there. I also wanted to honor my dad and tell the story of our life at the racetrack. Q: Beyond the entertaining stories, you focus on handicapping. You dedicated an entire section on proper ticket construction and strategy. Why do you find this such an important part of being a successful player? A: Proper betting theory and ticket construction are important because they are the bridge between a good handicapping opinion and making a score at the windows. Q: I found your chapter on track bias invaluable. It seems some casual players have such a difficult time recognizing it. How much time do you spend analyzing if there was, or what bias occurred on a day? Can your record keeping tips and notes work for the casual player? A: Bias recognition, especially in real time, can lead to some of the best gambling opportunities in racing. It’s worth the hour or so per day that I spend on it. More casual players can benefit from even a few minutes per day devoted to improving their bias skills, trip note work, and record keeping. Q: Players can struggle with the mental game - losing streaks, etc - and you spent a good deal of time on discussing it in the book. Despite your success, and longevity as a player, is it something you have to work on each betting day? A: Yes, maintaining a healthy and alert mental state isn’t easy when you’re betting 300 days each year. Learning not to ride the emotional roller coaster and to understand my strengths and weaknesses as a player have helped greatly. Q: You've been a staunch supporter of the weekend warrior and growing the game.. Takeout rates are something you've voiced concern about. 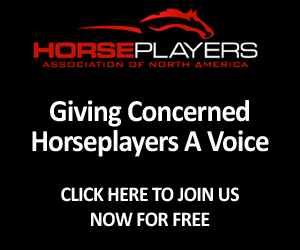 As a practical matter, does, for example, the 22% takeout rates on two horse exotics at places like Keeneland and Churchill change your play at all? Just how hard is it to beat those high rates in two horse bets? A: Certainly any change in takeout rates impacts my betting immediately. The lower the net cost of a wager, the more I will bet. As racing has raised my cost of making a wager over the last ten years, my wagering has decreased by over 50%. The result of their pricing strategy is that I make less, the horsemen make less, and the tracks themselves make less. Q: With so many short fields at so many racetracks over the last ten or so years, have you had a hard time finding bettable races? Have you found a way to attack shorter fields and do so profitably? A: It may sound counter-intuitive but smaller fields often force me into the trifecta and supers. I might pass on a 3-1 payoff in the exacta in favor of a shot at 10-1 on a cold number in the tri. 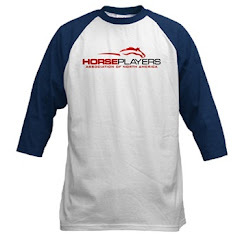 Q: If there's one thing you love so much that you'd never change about Thoroughbred horse racing, what would it be? If there's one thing you'd want to change, what is it? A: I want to end on a good note so I’ll answer the latter first. 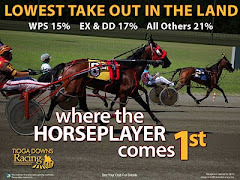 While I realize that this is highly unlikely, with nationwide cooperation on improving racing’s integrity level, and a new pricing model closer to the lower takeout of other gambling games, I think we could double our handle. 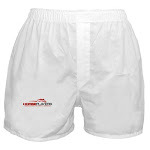 Racing would also have a better product to market to a new generation of potential customers. What I love most about racing is a triple dead heat. First is the game itself; the most-interesting gambling pursuit on the planet. Next are the people you meet in racing. From the bluebloods to the semi-degenerates, the animal-lovers to the quants, the sharpies to the schills. One thing is for sure, there’s no lack of personality at the track.